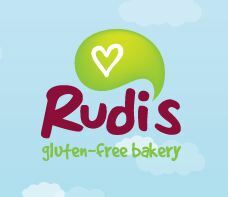 BOULDER, Colo.–(BUSINESS WIRE)–To meet the growing consumer demand for gluten-free products, Rudi’s Gluten-Free Bakery has expanded its line of nationally available, all-natural gluten-free products to now include hamburger buns, hot dog rolls and pizza crusts. Rudi’s executives made the announcement today at the Natural Products Expo West trade show in Anaheim, Calif. Rudi’s Gluten-Free Bakery, launched by Rudi’s Organic Bakery in 2010, is making life brighter for all families that suffer from celiac disease or gluten intolerances by introducing gluten-free multigrain hamburger buns, multigrain hot dog rolls and pizza crusts that have the same look, taste and texture of regular buns and rolls the entire family is sure to enjoy. Or rather, two recipes. 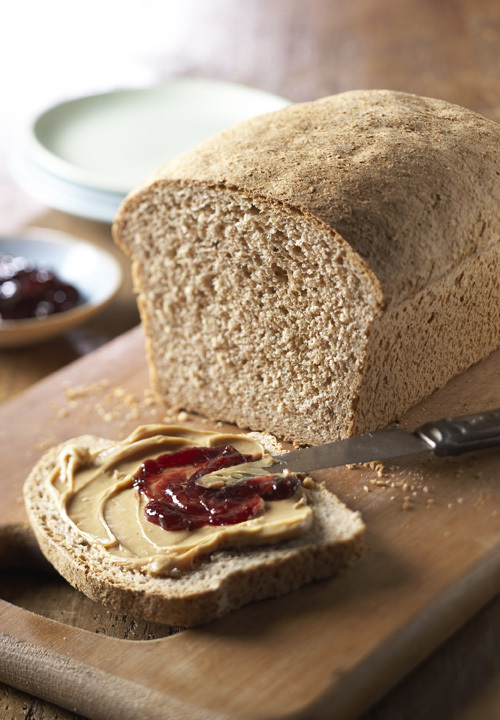 Wheat bread and white bread. Enjoy! 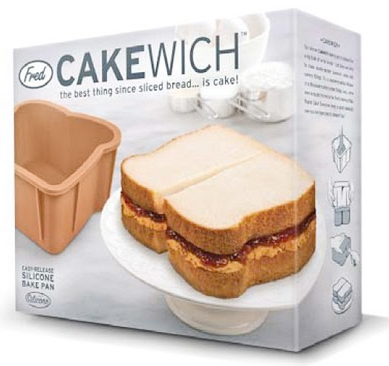 Because it is a bread box! 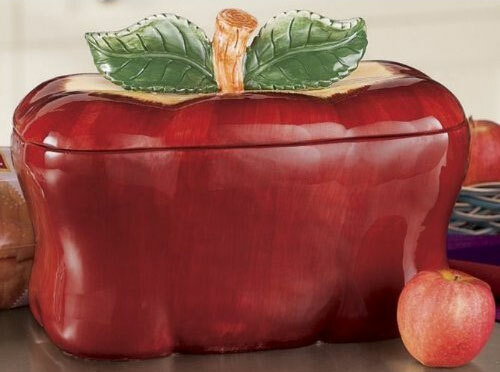 An Apple Bread Box . Holds two loaves of bread… or a whole buncha apples. There is no comparison between fresh tortillas and those found on the end-cap at the supermarket. Tortillas are not necessarily difficult to make at home, but specialized equipment provides the best results. One could use a rolling pin, and one could use a fry pan, but to get the best results, a tortilla press and a griddle are recommended. Or one appliance that serves as both. 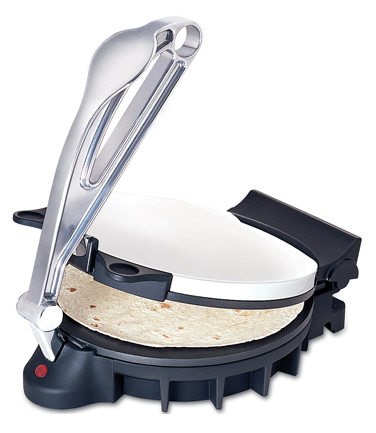 The CucinaPro Flatbread Maker is a 1000-watt combination griddle/tortilla press. Producing 10-inch tortillas of your own creation, the gadget makes it easy to enjoy fresh tortillas without a trip to the store. Considering the non-stick aluminum cooking surface and convenient vertical storage, it may even be easier than getting in the car. Certainly tastier. 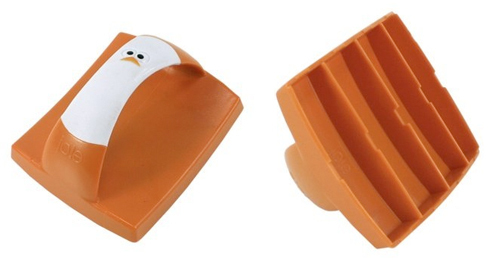 Toast may not be a toy, but it sure can be fun to play with. When cut into strips, it turns into a delicious finger-food ready to be dunked, dipped and devoured. But toast doesn’t come in strips you say? It does if you have the Joie Toast Strips Cutter .